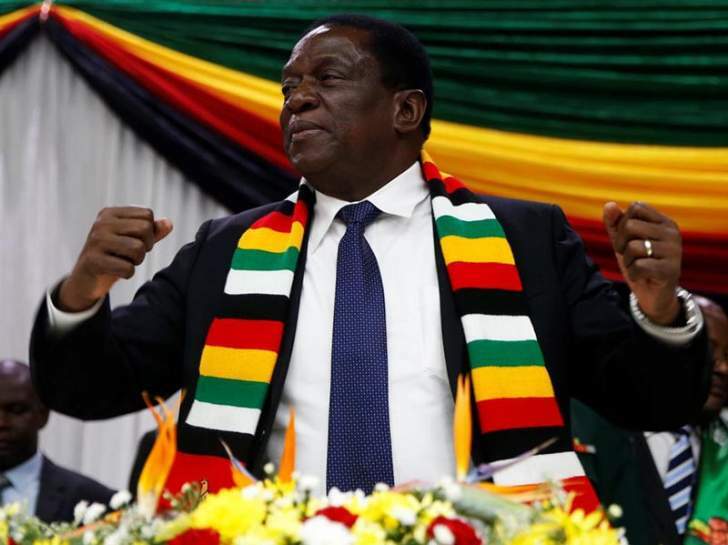 President Emmerson Mnangagwa next week embarks on a jaunt to five Asian and European countries, the 26th foreign trip of his short presidency, blowing millions of dollars and drawing comparisons with his globetrotting predecessor, Robert Mugabe. Mugabe, who was forced out of power in a coup in November 2017, gained notoriety for his love of foreign travel, attending obscure meetings and blowing millions despite Zimbabwe suffering from crippling shortages of hard currency. In 2016, Mugabe made 20 trips abroad between January and October, blowing $36 million, against a $30 million travel for the 300-member strong legislature, according to Finance ministry figures. Some of those travels included United Nations Ocean Summit, where he was the only Head of State in attendance in 2017. In 2016, he was forced to abort a World Culture Festival (WCF) in India organised by Sri Sri Ravi Shankar of Art of Living. Mnangagwa, who vowed a clampdown on unnecessary government expenditure and to embark on austerity measures, is raking in thousands of air miles and would be away for more than two weeks at a time the country is faced with potentially the largest street protests since Mugabe's ouster as the economy continues to tank. Health workers and teachers are on strike while the rest of the civil servants have given notice to go on strike in two weeks. The opposition MDC also said it expects to hold street protests next week. By September last year, Mnangagwa's travels had gobbled $23,2 million against a foreign travel budget of $17 million, according to the Finance ministry. On most of his foreign travels, Mnangagwa has been using a luxurious jet operated by Comlux — headquartered in Switzerland. Mnangagwa visited 13 countries in his first five months in office, including a seven-day visit to China with an entourage of over 90 people, all awarded handsome allowances. Most of his visits were to regional countries in the aftermath of the coup that brought him to power. Government claimed Mnangagwa brought billions to the country from his Chinese visit in a desperate did to justify the Asian jaunt. Next week, Mnangagwa is visiting Russia, Belarus, Azerbaijan and Kazakhstan, before proceeding to Switzerland for the World Economic Forum (WEF). This will be the second time he would be attending the high-cost investment conference in Davos, Switzerland, after his first visit as President was hyped as key to unlocking foreign direct investment (FDI) under his "Zimbabwe is open for business" mantra. His spokesperson George Charamba said Mnangagwa's trip was a strategic part of his engagement and re-engagement drive, and the country should expect "quite a bumper harvest of agreements and Memoranda of Understanding". But analysts described Mnangagwa's trip as a waste of resources, saying nothing had come out of his previous visits that have gobbled millions. Analyst Farai Maguwu described Mnangagwa's trips as holidays for the First Family and their hangers-on. "If foreign trips were an effective means to attract investments and FDI, Zimbabwe would be the richest country in Africa. But it is proven beyond any shadow of doubt that engaging the world before engaging the Zimbabwean people is a wild goose chase," Maguwu said. "The solution to Zimbabwe's governance crisis is internal. Government must arrest corruption, listen to the people and create a conclusive environment for the private sector to operate. Mugabe was a frequent traveller and nothing came out of those trips." Another analyst, Maxwell Saungweme, said solutions to the country's challenges were internal and for now, Mnangagwa should invest his time in the country to solve the challenges. "These trips are necessary to link Mnangagwa and Zimbabwe to these countries in a global village, but expecting magic bullets from foreigners to solve our problems is not thoughtful," Saungweme said. Political analyst, Tamuka Chirimambowa said it was folly to claim that Mnangagwa's travels to Europe would solve the country's problems. "Otherwise, going to visit some European countries or crossing an ocean without a solid game plan doesn't translate into development. As things stands, there is nothing to be excited about. The economy can't be resolved simply because the President has travelled to Europe," Chirimambowa said. Bulawayo-based analyst Dumisani Nkomo said Mnangagwa's pre-occupation should be to build the confidence of Zimbabweans, who are reeling from fuel shortages and skyrocketing prices. The Russians have an interesting saying: "You show me your friends and I will tell you what type of person you are." "A cursory glance at some of the newly-found friends of the new political dispensation will give us a few pointers on the direction our erstwhile liberators want our country to take," noted Reward Mushayabasa, a United Kingdom-based former media lecturer. "Countries like Russia, Belarus, Azerbaijan and Kazakhstan are not known for subscribing to democratic political ethos. The countries perennially score very lowly on the world renowned Economist Intelligence Unit's Democracy Index. These countries are notorious for poor governance and corruption. In addition, they do not respect citizens' fundamental rights and freedoms. Is this the type of future we want to condemn next generations in Zimbabwe to. I think Zimbabweans deserve better. "I don't think a lasting solution to our current economic woes can be found in these countries. The solution lies in attracting international investor confidence in our country by deepening our democracy and curbing corruption in most of our government institutions. We need to show that we are 'open for business' both, in spirit and action. That is the only way the outside world can take us seriously."